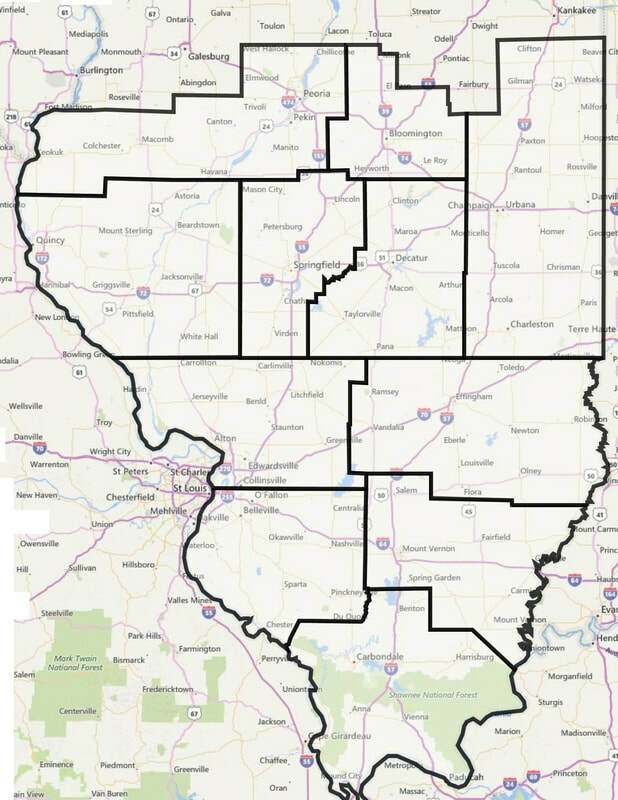 Southern Illinois Al-Anon/Alateen Family Groups, Area 16, is made up of eleven Districts covering the lower two-thirds of the state of Illinois. Each District is made up of individual groups, all with a single purpose: to help the families and friends of Alcoholics. Find your district (labeled in light blue) on the map, and click on its link to the left to find contact information and meetings within each district, or scroll down below the map to link to meetings organized by town. For meeting times and locations outside of the Southern Illinois area, visit How to Find a Meeting. Click the link for any town name below to access of list of meeting times and locations within that town.